The Diepsloot Safe-Hub, which recently celebrated its first year of successful operation for learners in the community, has also seen the graduation of its first intake of 11 PlayMakers in a one-year Sports Administration learnership and leadership and has launched the second intake. The Diepsloot Safe-Hub is giving more than 2 000 local youngsters from grades R to matric regular access to a safe environment for facilitated sports, arts, life skills lessons, personal development, accredited training courses – and the opportunity for a better future. The PlayMakers are young people between the ages of 18 and 27 from Diepsloot who work at the Safe-Hub with the children in the various activities, implementing the EduFootball programme with the participants, and gaining valuable work experience and training to become more employable. They are committed to changing their communities and being positive role models to children and youth. Throughout the accredited NQF level 4 in Sports Administration learnership, they also go through personal development training to help them successfully transfer into future employment, education or training. 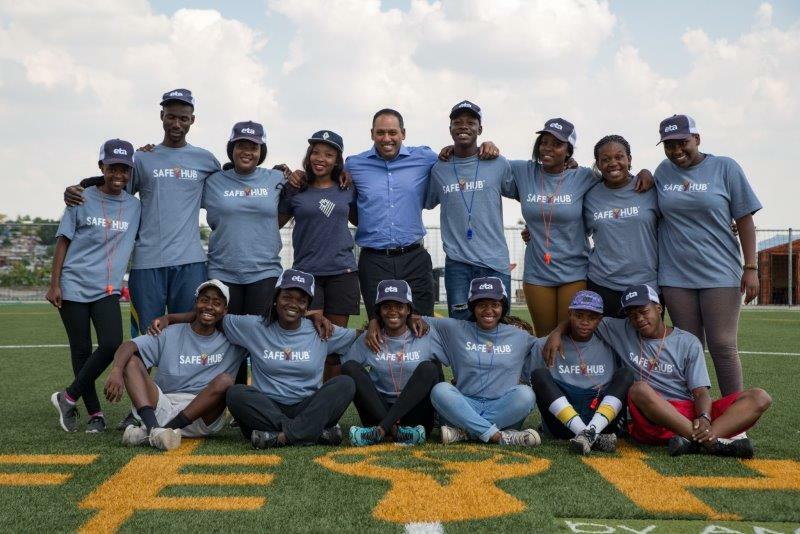 The Diepsloot Safe-Hub was funded and built by AMANDLA EduFootball in collaboration with the Oliver Kahn Foundation and Tsogo Sun’s Montecasino entertainment destination, as part of its CSI activities. The on-going programme is delivered by AMANDLA through a funding partnership with Montecasino at an investment of more than R4 million over three years. The 11 PlayMakers who graduated from the learnership in December also completed other accredited qualifications that include First Aid Level 1, a SAFA Referee course, SAFA Coaching D licence, basic computer literacy, as well as AMANDLA #MakeYourPlay workshops that cover facilitation, conflict resolution, relationship building, goal setting, professional communication, sexual harassment, and financial management. By the time they graduated, most of the PlayMakers had already secured opportunities for further education and employment in various areas, including in Sports Management at the University of Johannesburg, Virgin Active Fitness Instructor, grassroots soccer facilitators, retail shop assistant, and a Safe-Hub Programme Officer. Joseph congratulated the PlayMakers on successfully completing the course in 2016. “You have done all of us proud and you will always be strong brand ambassadors of the Safe-Hub and role model the values you have learned within your community. As the first intake of Diepsloot Safe-Hub PlayMakers you have set an excellent benchmark for those who will follow you this year and in the years to come.” Joseph wished them the best of luck in their future endeavours and wished the new intake of PlayMakers a great year of growth, development, and enjoyment. The 2017 Diepsloot PlayMakers learnership launched on 13 February with 13 learners (eight girls and five boys).